Abraham Lincoln signed the Yosemite Grant creating the first national park. One hundred and fifty years later a savvy and integrated campaign leveraged that important day to raise $19 million for Yosemite National Park. 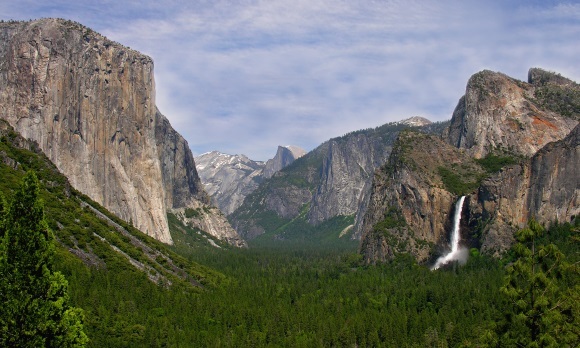 June 30, 2014, was the 150th anniversary of Abraham Lincoln’s signing of the Yosemite Grant, which gave 39,000 acres of Yosemite Valley and the Mariposa Big Tree Grove to the state of California for preservation. "The legislation was the birth of the national park idea," explains Scott Gediman, chief of public affairs and park ranger. "It was the first time any federal government in the world set aside land purely for preservation and public enjoyment. That’s a significant achievement, and we wanted a thorough campaign to commemorate the occasion and emphasize the importance of national parks." The campaign also aimed to assist Yosemite Conservancy, a nonprofit that raises money on behalf of the park, in raising $20 million for the Mariposa Grove Restoration Project. Gediman notes that the project is slated to cost $36 million, and the park itself will contribute $16 million. Gediman and his in-house team ran a multi-faceted year-long campaign that included ongoing media relations and numerous events in the park and in gateway communities. "The park enjoys a lot of media attention on a regular basis, but we had a very specific media strategy for this campaign to hit all tiers – local, national, and international," Gediman notes. "We timed it such that coverage would peak around June 30. Then we could spend the second half of the year focusing on driving longer, reflective editorial pieces." The team also widely promoted a short documentary film produced by Ken Burns for the park called "Yosemite: A Gathering of Spirit," which is about the significance of the Yosemite Grant and its legacy. Top-tier local, national, and international general consumer outlets as well as outdoor, environmental, travel, tourism, and science reporters and bloggers were pitched story angles leading up to the June 30 anniversary. For example, The Fresno Bee was pitched a series of weekly stories highlighting a different component of the park. "The Fresno Bee loved the idea and ran a front-page story every Sunday in June," Gediman says. "Stories also ran in other McClatchy-owned newspapers, including The Sacramento Bee." One hundred eighty events were held throughout the year. They included screenings of Burns’ film, historical reenactments, parades, and festivals. Seven events were hosted June 30 in the park. A formal ceremony in the Mariposa Grove of Giant Sequoias kicked off the day. 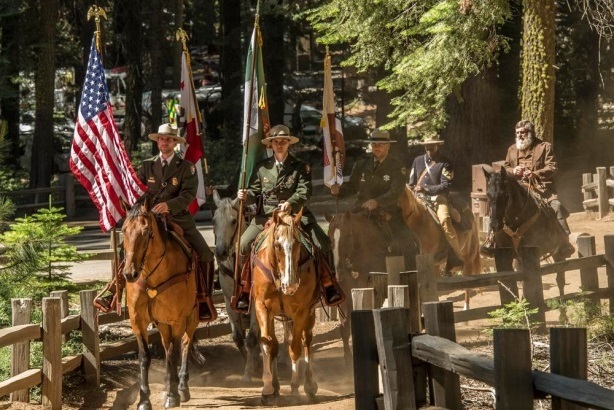 Government officials, including California Lieutenant Governor Gavin Newsom, National Park Service officials, and other local stakeholders spoke, and major donors used a "golden sledgehammer" to officially break ground on the Mariposa Grove Restoration Project. A "Park Heritage" fair, hosted in conjunction with numerous partner organizations including Ansel Adams Gallery and the Sierra Club, was held throughout the day at the park. It included educational and interactive exhibits, a display of historic park ranger vehicles, and kids’ activities. Burns’ film was shown throughout the year at events in the park and gateway communities. Gediman’s team also entered it in three film festivals and made it available to 400 national parks throughout the US. A park ranger introduced the film and delivered messaging about the 150th anniversary at all Yosemite National Park events and at most outside local community screenings. Film events were promoted through news releases, on the park’s Facebook and Twitter pages, and by organizations that coordinated off-site showings. Gediman’s team provided promotional kits that included a three-minute trailer, posters and messaging to all off-site organizations that hosted screenings. Regular posts to the park’s Facebook and Twitter pages included event information, fun historical facts, fundraising milestones, and historic and current photos of the park. Late summer and fall media outreach focused on long-form editorial stories related to the importance of Yosemite National Park, the Mariposa Grove, and national parks in general. Travel and tourism outlets were also pitched destination stories. Gediman reports the Yosemite Conservancy had raised about $12.5 million by June 30, 2014. As of late February 2015, it had raised nearly $19 million. "This was by far the largest capital campaign Yosemite Conservancy has ever conducted with the park, and several donors contributed in direct response to the PR campaign," Gediman notes. "The campaign far exceeded our expectations, both in terms of media coverage and fundraising." The campaign garnered an impressive 60,000 original earned stories in outlets such as Sunset magazine, USA Today, The New York Times, AP, and CNN. Organic reach for campaign Facebook posts is estimated at 3.23 million for the year. Twitter metrics were unavailable. The park estimates more 10,000 people saw the film throughout the year. Between 6,000 and 8,000 people were estimated to have attended the June 30 events at the park. The team is preparing for two more significant anniversary campaigns - the 125th anniversary of Yosemite National Park on October 1, 2015, and the 100th anniversary of the overall National Park Service on August 25, 2016.